Northern Ireland’s leading convenience retailer Centra has launched its popular series of charity family fun runs for the second year, adding two brand new events to the line-up. 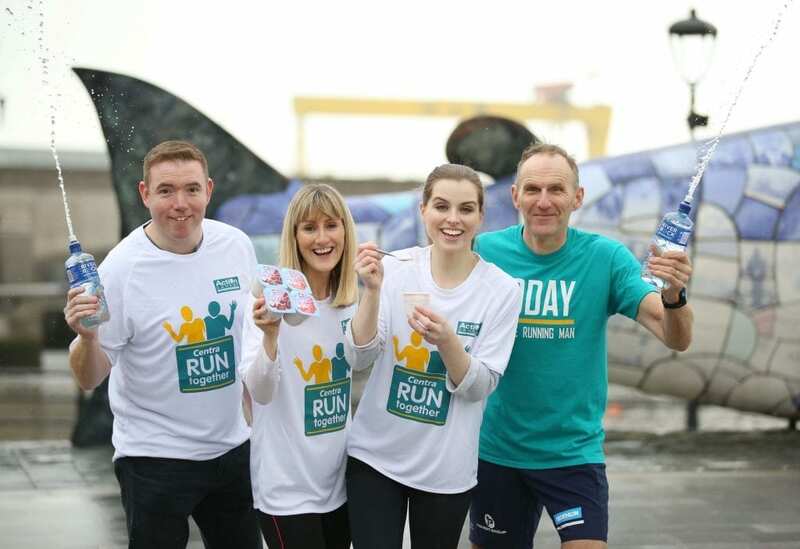 The Centra Run Together series is designed to feed the recent upsurge in ‘social runners’ across Northern Ireland, encouraging communities across Northern Ireland to get up and running together, whilst raising vital funds for Action Cancer. Following the success of the inaugural Centra Run Together initiative in 2016 the series will now include six 5k runs between April and October. Two runs will take place in Belfast and further races will be held in Derry/Londonderry, Antrim and new for 2017 – Fermanagh and Tyrone. This year the events are completely free to enter but participants are encouraged to make a donation to Action Cancer in lieu of an entry fee. They are designed for a variety of participants from walkers, first time runners to those using the 5k course as training for a marathon. The first event will take place on Sunday 23rd April at Queen’s Dub playing fields in Belfast and is now open for registration. Musgrave NI’s head of marketing, Desi Derby, said: “The Centra Run Together series is part of our Live Well initiative, which represents an investment of £1 million and is aimed at helping our customers make healthier choices, addressing the serious health issues associated with today’s society. Centra has signed up two time Olympian and Commonwealth Games medallist, Johnny Davis as an ambassador for Centra’s Live Well programme. Over the course of 2017, Johnny will provide hints and tips to aspiring runners, providing the motivation to get them on track before, during and after the Centra Run Together events. Commenting at the launch, event organiser, Johnny Davis said: “Running has proven to be very beneficial for helping people live healthy lifestyles. “Run Together is a concept designed to let people run in pairs and we encourage all levels of runners to join in the fun – to pair up with their partner, son, daughter, a friend or neighbour and help raise money for Action Cancer. The Centra Run Together series, a Live Well initiative, is sponsored by Deep RiverRock and Müller.